Not much to say here other than it’s what I have in flower here at the moment. 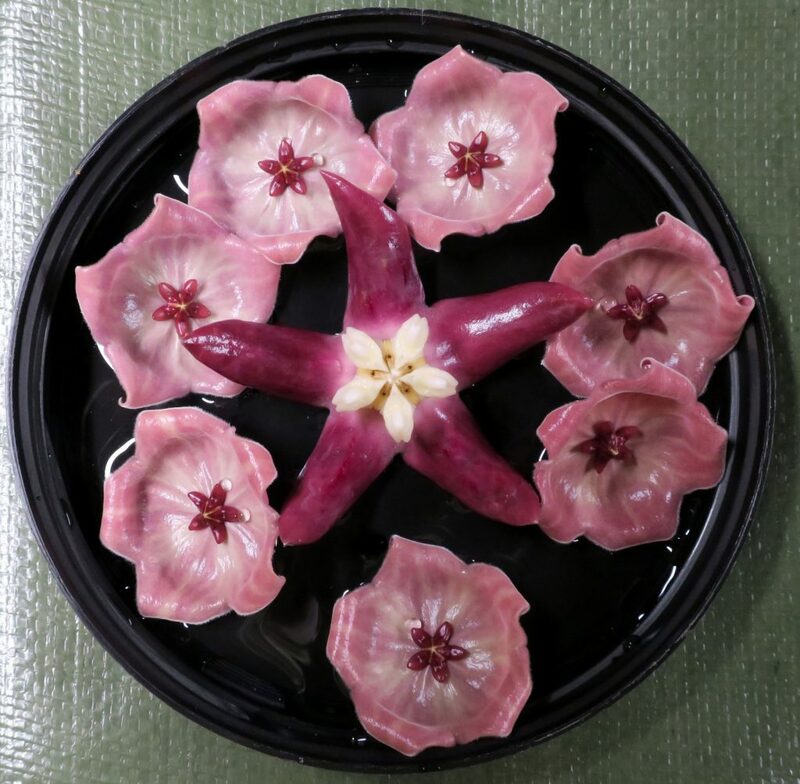 Hoya patella and Hoya imperialis floating in a Dish of Water. This entry was posted in Hoyas on January 5, 2017 by Doug.